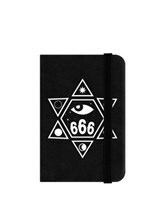 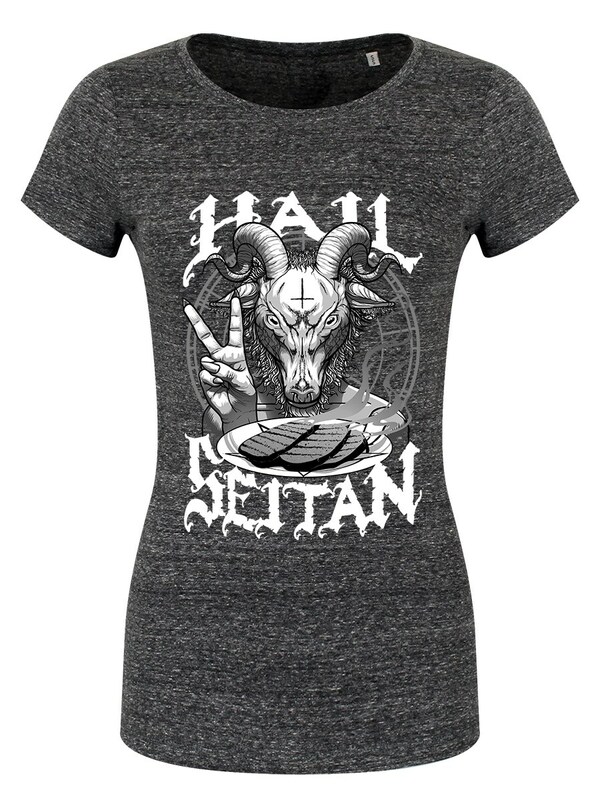 Heil Seitan… It’s a better menu than what Satan offers. 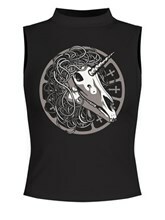 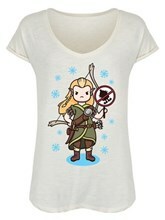 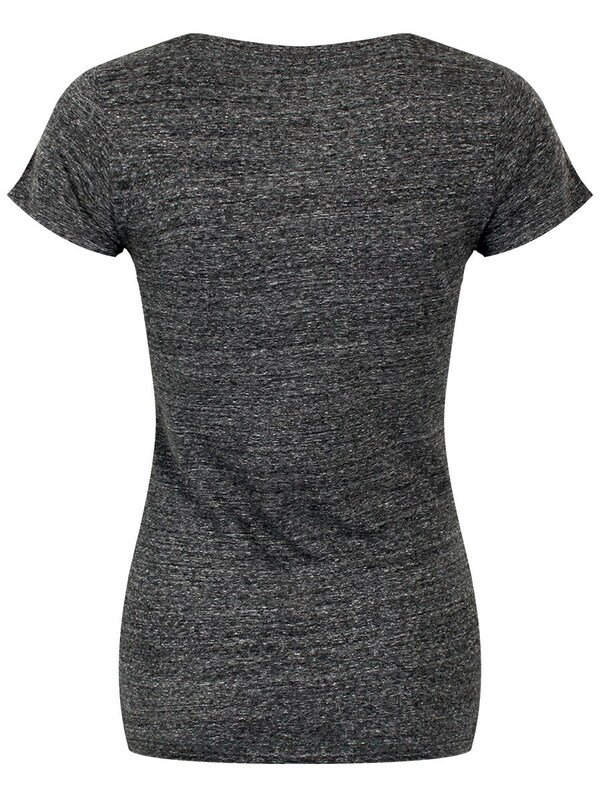 Calling all Vegan witches, this t-shirt was made for you! 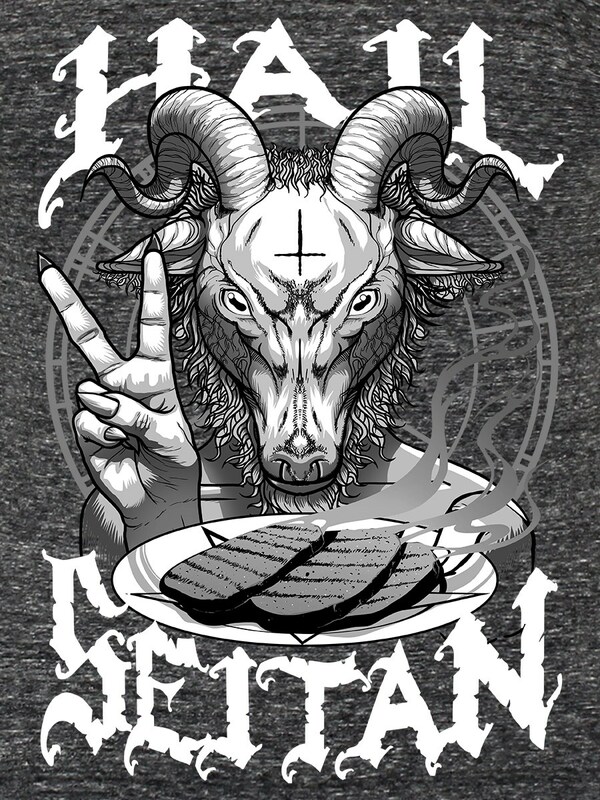 Repping a peace symbol, this satanic devil is worshipping a tasty plate of delicious seitan! No animals were harmed in the making of this unholy ritual.